Need to ship your car or truck to another state? Our Courteous, Licensed and Insured Drivers are Ready! We're US EPA Certified SmartWay! Crown Auto Transport and Logistics began hauling new and used vehicles in 1996 with one three-car hauler. We have since grown into one of the leading, professional and courteous auto transport and logistics service companies in the nation. We transport vehicles nationwide and take every precaution to deliver them damage-free and on time. Selecting the best auto transport company to ship your vehicle(s) can be a difficult decision and our goal is to make your choice easier. At Crown, we earn your business and help you understand the car shipping process. As a national auto transport company we have access to vehicle transport carriers across the country and can select the carrier nearest you for the fastest service. When you need to transport a vehicle, we're your #1 choice. This is the most common type of auto transport. We ship vehicles for auctions, dealerships, rental car companies and private parties. Our most used multi-car haulers ship "stock" vehicles. Lowered, lifed or modified vehicles may need to go on a single-level trailer or a flatbed trailer because they are designed for the safest transport of modified vehicles. Need to move some of your cars to another dealership? 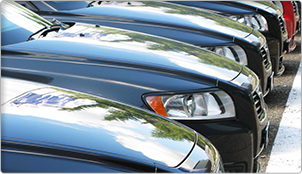 We have transported millions of vehicles and offer reliable auto transport to and from car dealerships nationwide. Our carriers take special care to ensure transporting your vehicle is a better choice than physically driving them - particularly when moving across the country. Remarketed, or used car, auto transport is most commonly used by dealerships, rental car agencies and auctions. It usually means that the vehicle is a rental car or that a lease is up. 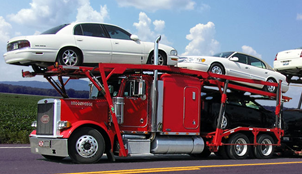 Crown Auto Transport and Logistics has proven experience moving remarketed automobiles safely and reliably. The sedan body and compact vehicle style covers a broad range of cars with varying levels of comfort, fuel economy, overall quality, performance, and reliability. Because of the diversity of size, the traditional four-door, five-passenger sedan remains among the broadest car used on our car haulers. Crown delivers 2-door and 4-door vehicles similar in size to the Ford Fiesta, Focus, Fusion, Mustang, C-Max and Taurus. 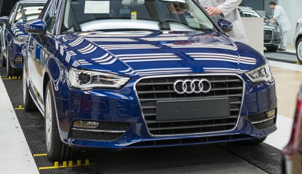 Generally, crossovers are tall wagons and SUVs that are based on passenger-car platform architecture for improved ride, comfort and fuel economy. Crown transports crossover vehicles and SUVs including vehicles similar in size to the Toyota RAV4, Venza, Highlander, 4Runner, Sequoia and Land Cruiser. 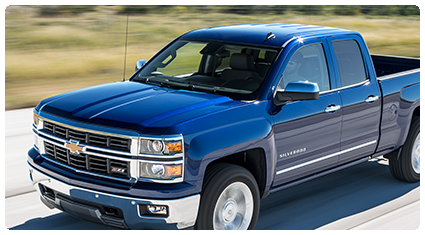 Full-sized trucks are the workhorses of the pickup world. They are larger, more rugged, and ride higher off the ground than compacts do. Crown's network of motor carriers delivers vehicles similar to Ford F-150s and Chevy Silverado's.